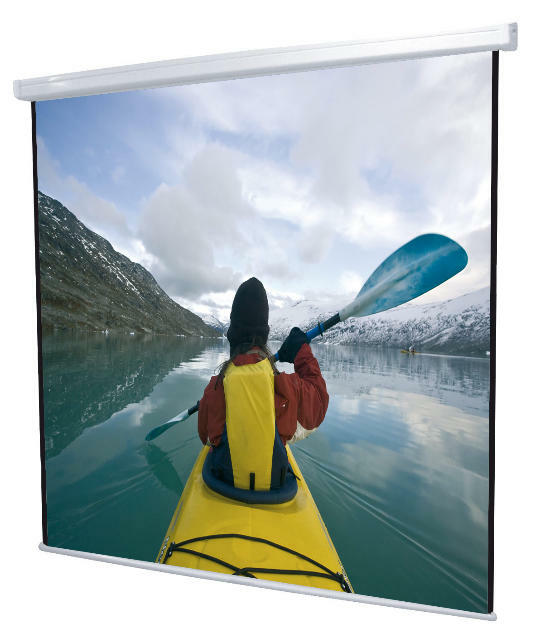 Projection screen of robust construction , suitable for intensive use. It has a larger enclosure and higher metal cylinder , ensuring greater robustness in the collection and unwinding. Available in various sizes and formats 1: 1 and 4: 3. Their steel housing painted in black and white tops , for installation on ceiling or wall. It has automatic slow collection for screens under 240 cm. Black side edges in 1: 1 and 4 sides in 4: 3.